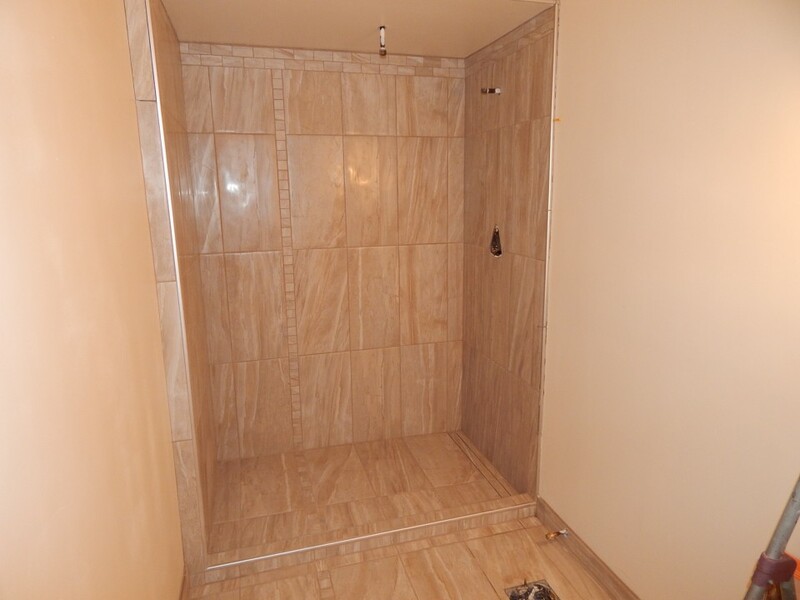 Home Bathrooms Tiled Steam Shower. 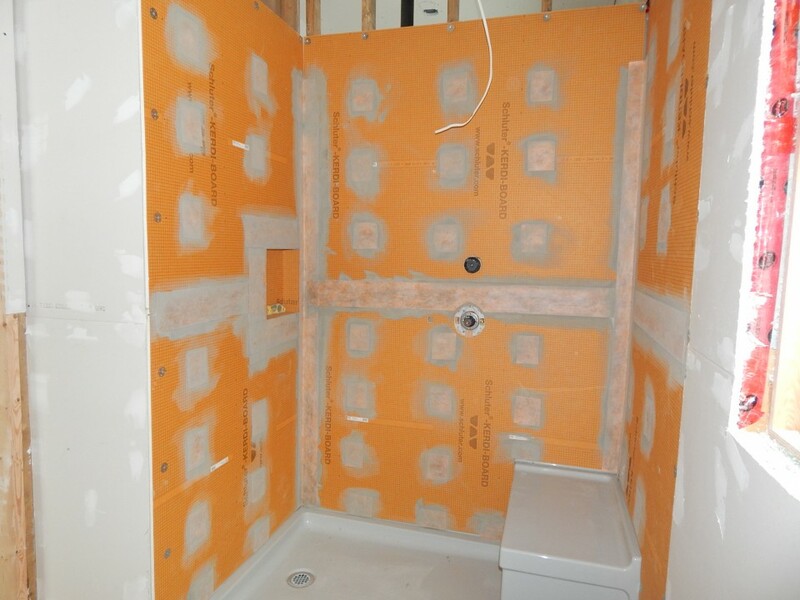 Shower stall water proofed with Kerdi board from Schluter. 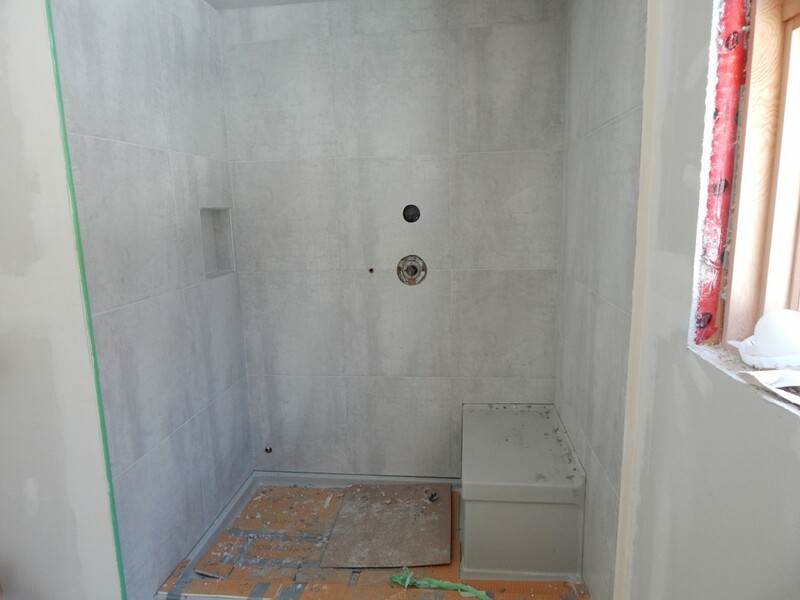 Tiled Steam Shower in en-suite bathroom. 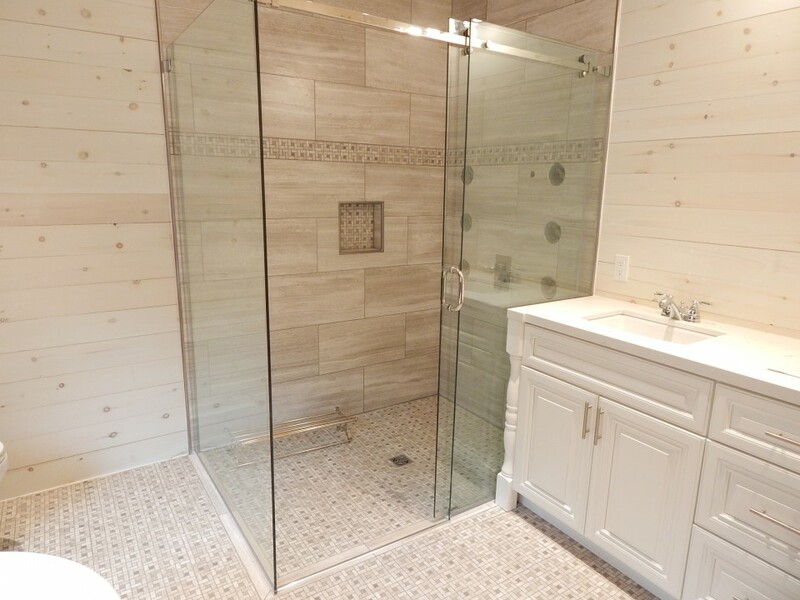 This shower was built in the spacious addition onto a century farmhouse on wooded acreage near Combermere, Ontario. Its the Family Compound of the Chairman of a large Toronto Construction Company. The addition is luxurious and comfortable. 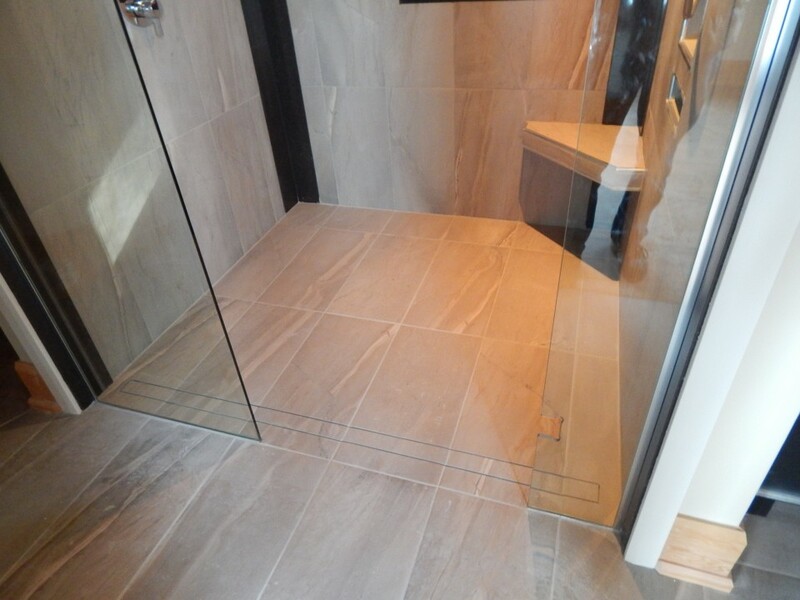 The entire addition is heated with hydronic floor heating. As ususal we cut no corner when doing the shower prep work. 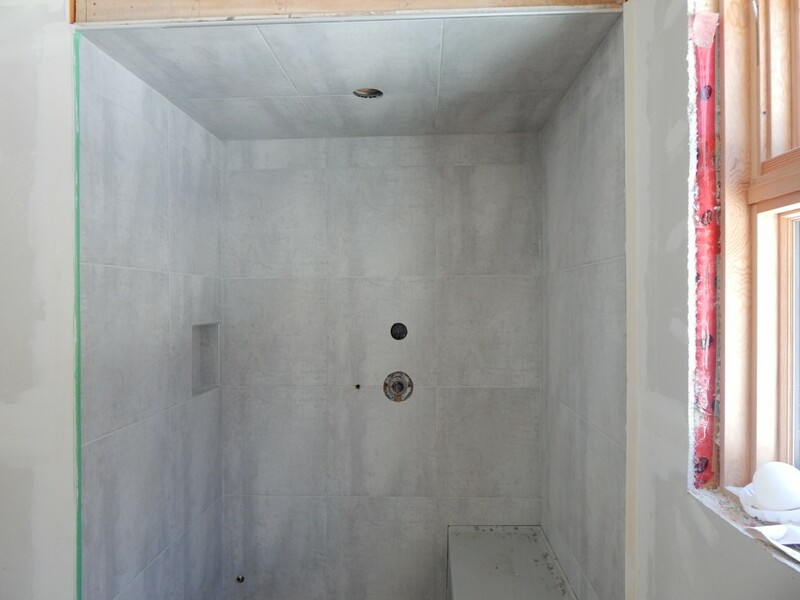 We used Schluter Kerdi Board for the entire shower stall including the ceiling. 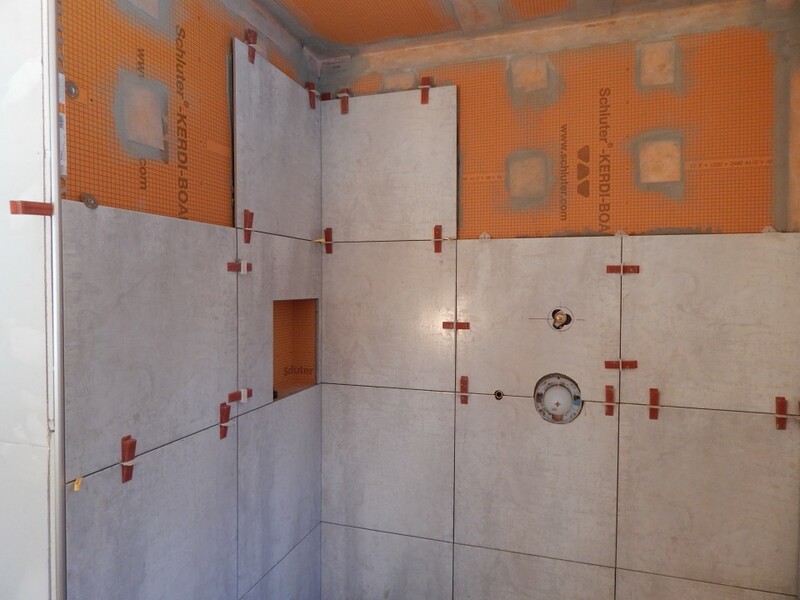 Schluter Kerdi board is our substrate of choice since it is light weight and structurally stable. 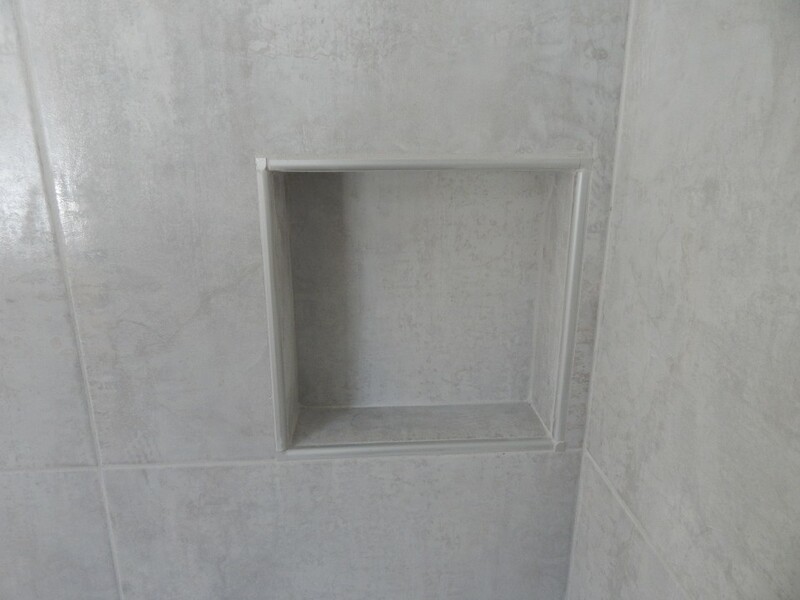 It consists of an extruded polystyrene foam panel, with a special reinforcement material on both sides and fleece webbing for effective anchoring in thin-set mortar. 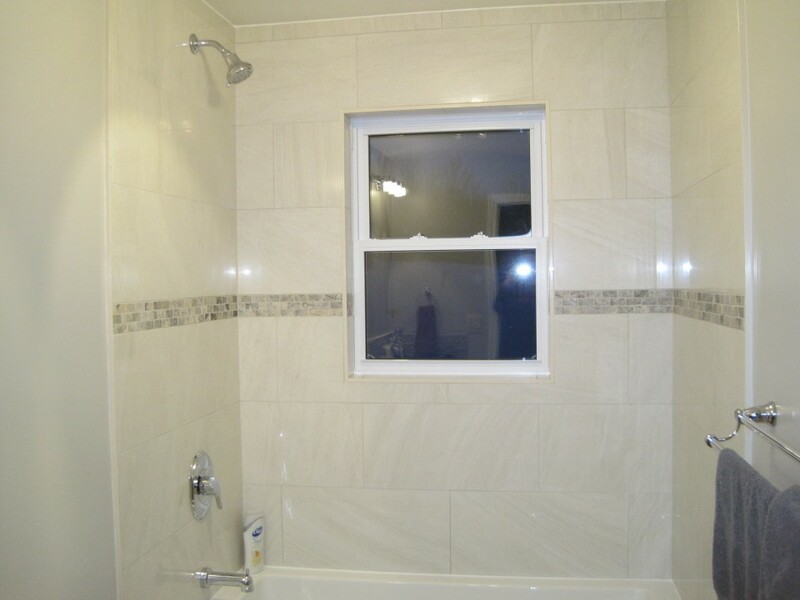 It is also water and vapor proof which makes it suitable for a steam shower. For edge trim we used Schluter Rondec profiles. 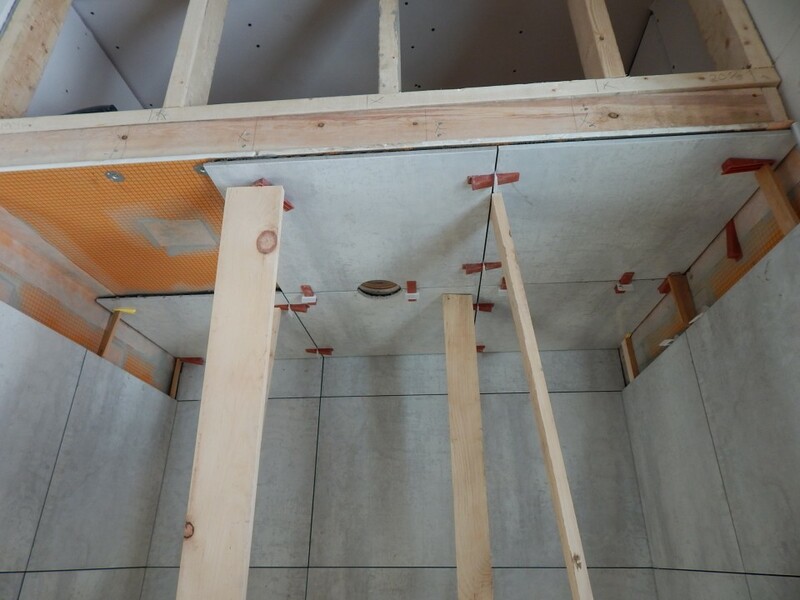 We like to use Schluter profiles because it gives each job a professional touch.